Shake up the Marketing world. 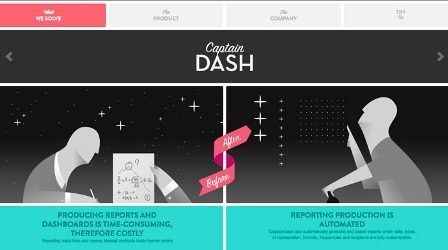 CaptainDash produces dashboards in real time for marketers. Smart Data, Beautiful Infographics and Cool Interface are part of the new business intelligence.